It started almost forty years ago in our native country of Czech Republic. My wife and I were first introduced to growing garlic while helping her parents with their planting, weeding, and harvesting. Their garlic was grown in their family vineyard, between the rows of vines. 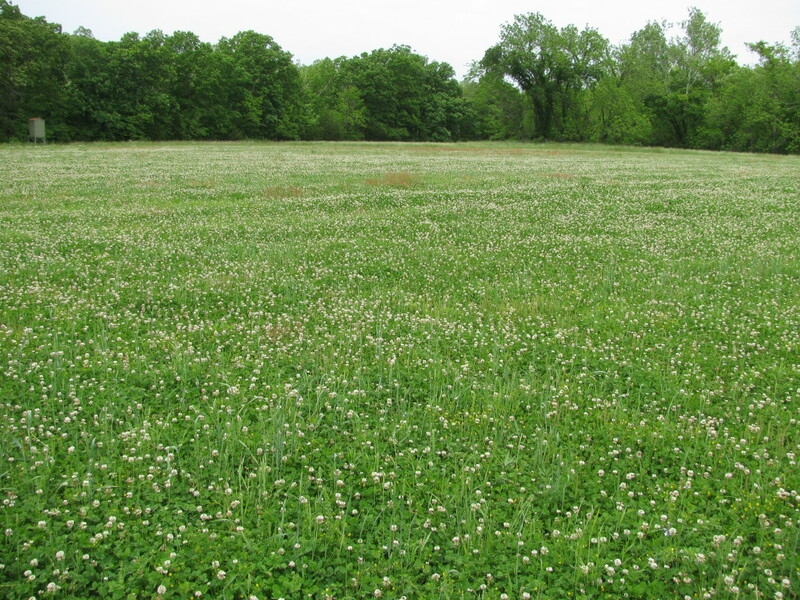 One of our pastures recently hayed. We came to the United States and discovered the “supermarket garlic”. Trying to cook with this garlic was a new experience for us. Quickly we established a garden but, no garlic to plant. Unable to find any seeds for garlic (No Internet! ), we turned to our parents in Czech. Soon we received a few bulbs of Hardneck and Softneck to plant in the same manner in which we have done for so many years in Czech. Among daily cooking, making sausages, and curing meat for hams, we needed a lot of it. We bought samples almost every year to satisfy our demand but none could compare to our, so far unbeatable, Czech garlic. Hence our journey of garlic discovery began. 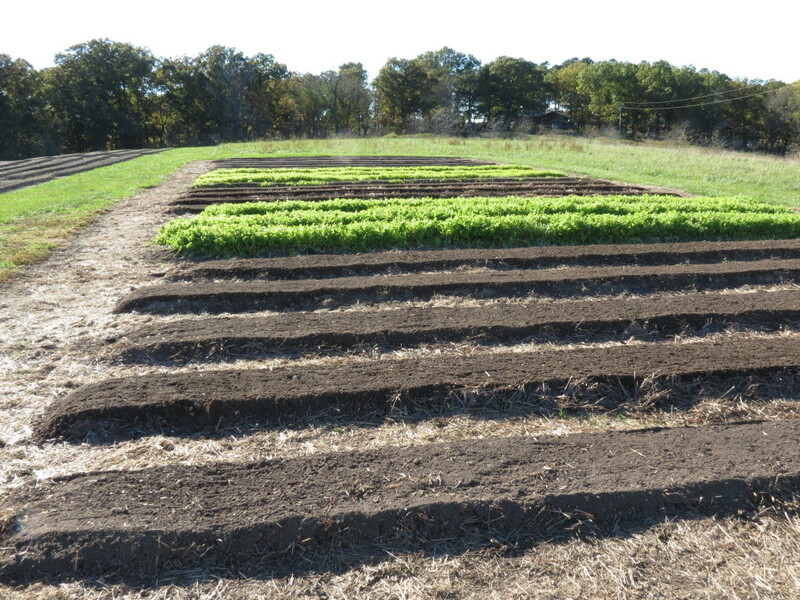 Our raised beds, some with buckwheat. About decade ago, our family dream came true. We bought a farm located in northern Ozark Mountains in southern Missouri. 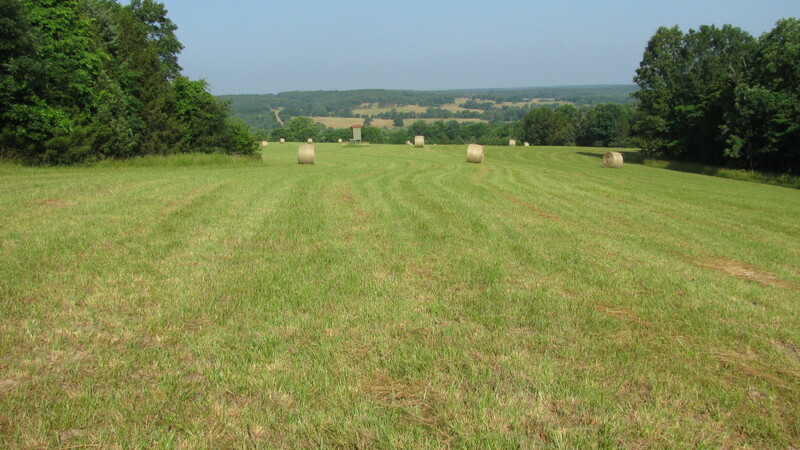 Our Farm is filled with rolling hills, large pasture fields, and wooded areas. It is also bordered by the beautiful spring fed Big Piney River. The soil on our farm is organically fertilized because for many decades the land was used for raising cattle. Hundreds of cows can produce a lot of good fertilizer every day. We have several fields for rotating our crop. Some of them are managed for wildlife (deer, turkey, and quail) with close cooperation of USDA.